It’s good to see Hollywood finally talking about making good movies again. 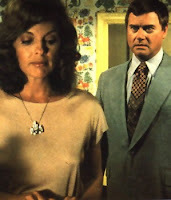 I’m referring, of course, to “Dallas,” which is technically the last American television series not to have been made into a feature film (except for “My Mother The Car,” a Viacom release scheduled for 2009). Variety reports John Travolta has been signed to play J.R. Ewing. That’s some casting genius, since Travolta radiates just the sort of overfed smugness and limited range that Larry Hagman brought to the TV show. Not sure about Shirley MacLaine as Miss Ellie (what, Judy Dench was not available?) or Meg Ryan as Sue Ellen. Ah, Meg. It’s but a short step from here to the Home Shopping Network. How are those collagen lips holding up? No matter. I’ve already reserved balcony tickets, even though I’m kind of worried that it’s now being cast as a comedy, instead of, say, a searing metaphor for corruption in the Bush White House. I’d much rather laugh at an unintentionally hilarious drama than an unintentionally sober comedy. What does this have to do with fiction? I don’t know. I was just assuming the film would be based on the book. It seems that just about every movie based on an earlier television show has taken a comic or ironic attitude. It might be interesting to discuss the reasons for this. My guess is the guilty-pleasure phenomenon: The filmmakers are slightly embarrassed to acknowledge affection for a silly original, so they make gentle fun of it without lampoon or satire. Yes, it was too much to hope that they’d try to play it straight. Betty Thomas did a great job with the two “Brady Bunch” movies, so maybe this one will work out too.